Mining and crafting is live! We worked on the enviroment and performance. Weeks are running by! 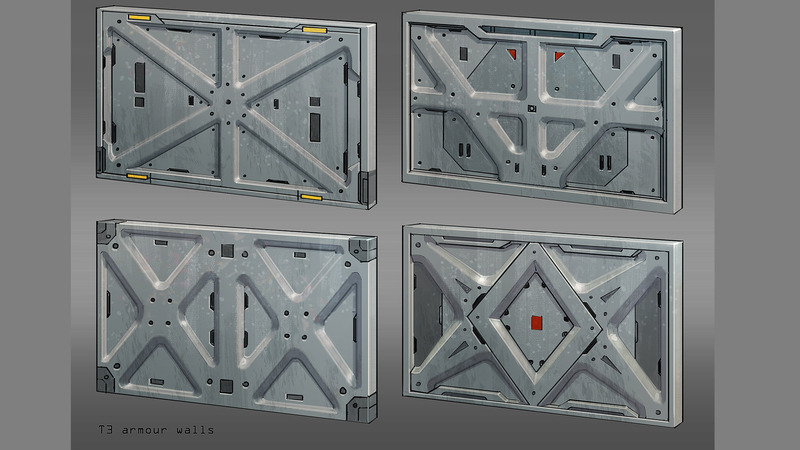 Time for another dev blog. I´ll try to structure these a little bit better to improve the readability. We always have to steal some time to write these – some of the team are already working 80+ hours the week to make Pantropy a game we are proud of. Thanks for reading and thanks for your support! The website is back! We decided to move to a different provider and install additional security mecanisms after we were hacked. We decided to keep the „building demo“ online for a few more weeks and introduce some of the other features of Pantropy. You guys have built some crazy stuff over the last weeks! It was amazing to check all the creative base buildings and to see the let´s plays on Youtube. I am sure things will change now. You´ll have to farm and mine for your building assets and you might come across other players...with weapons. 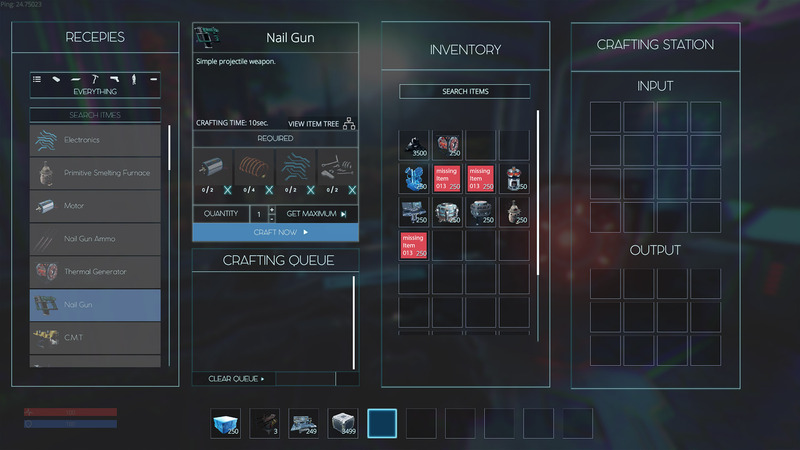 the crafting UI - this was quite a piece of work. We hope you guys like it! Please keep in mind that you might run into glitches and bugs since we made some huge changes to some of the core systems and added a lot of new stuff to the game. We tested all of these but I am sure there will be more that needs our attention. 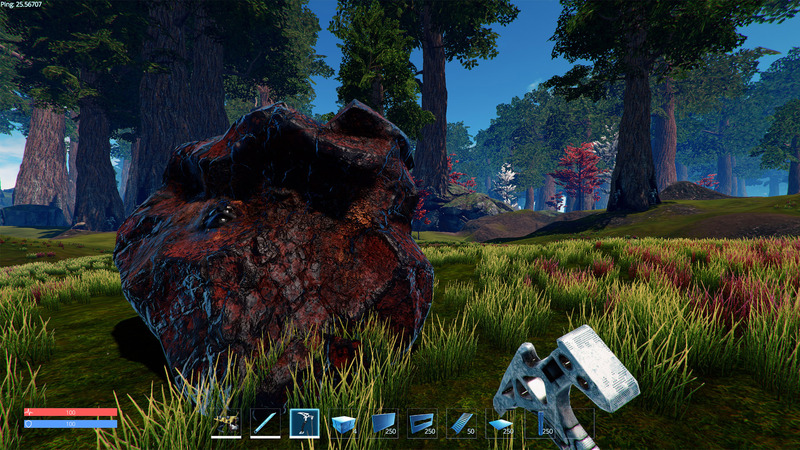 Iron ore and many other ore rocks can be found on the map. The pickaxe will be the most simple tool to mine ores. Julian finalized the loading system. We will see how this is going to work out through the next weeks. Loading times and ingame base streaming should be improved significantly. At the moment you´ll need refined materials to craft building stuff. The metal building parts are mid-Tier parts. We want to introduce a low level Tier soon that is easier to farm/craft. On the other hand we also want a high-tech building Tier that requires more advanced ressources. 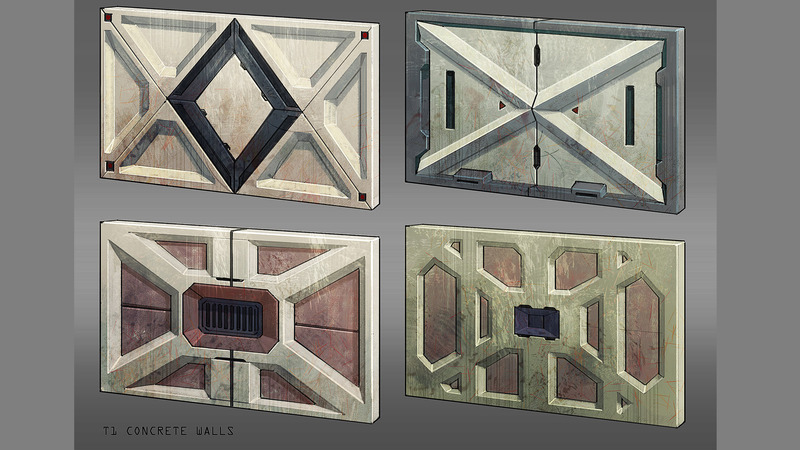 Another sketch of the concrete-composite tier. This will be the low level building material. Armored alloy tier. This might be the tier3 material. We´ve made several small changes to the enviroment. 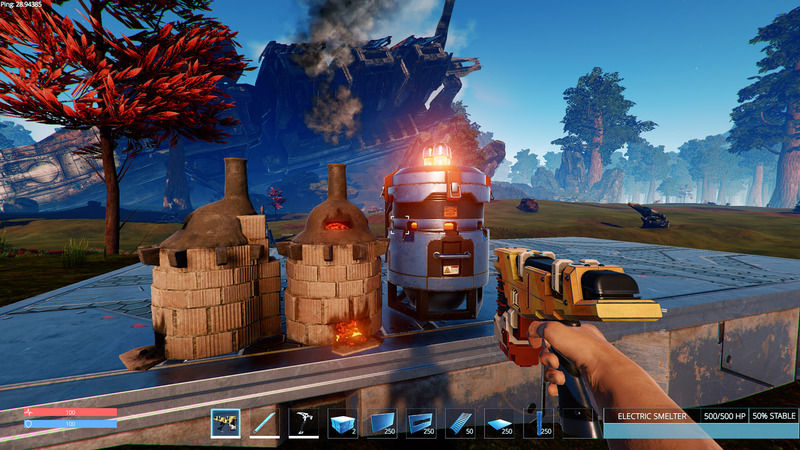 Small particles, a crashed star ship, enviroment sounds, birds, additional plants and rocks were added to the game. 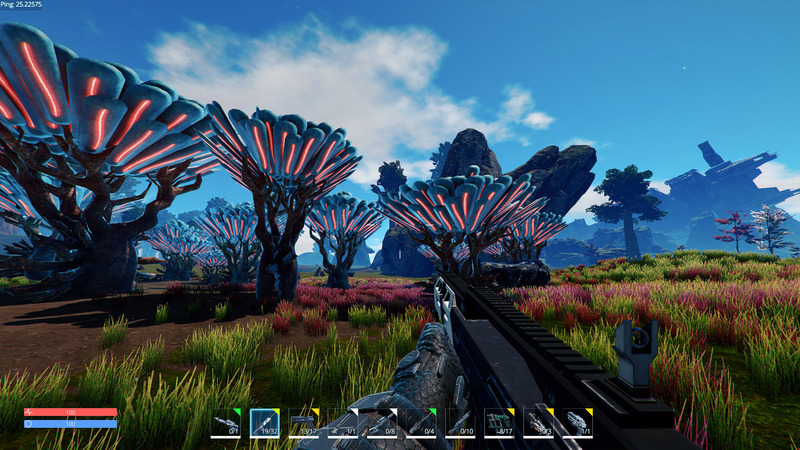 We don´t want to put too much effort into this map – it´s still an improvised map and the main alpha map is currently in development too, featuring different biomes on a larger scale. Jim has finished another tree model last week. It looks really beautiful ingame. Fancy glow trees! We´re getting more and more of our own plants into the game. 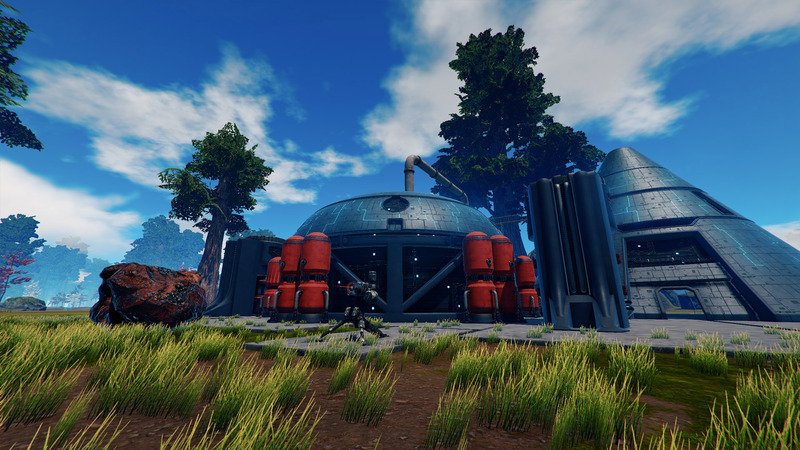 We added the power plant structure. Check this for loot but beware the defense! We´ll add the interior soon. The power plant. The interior will be added with the next patch. Beware the sentry turrets! There´s some loot waiting. Tyson made a laser Pistol design. We´re going to re-design this one since many of you complained that it looks too much like fallout. 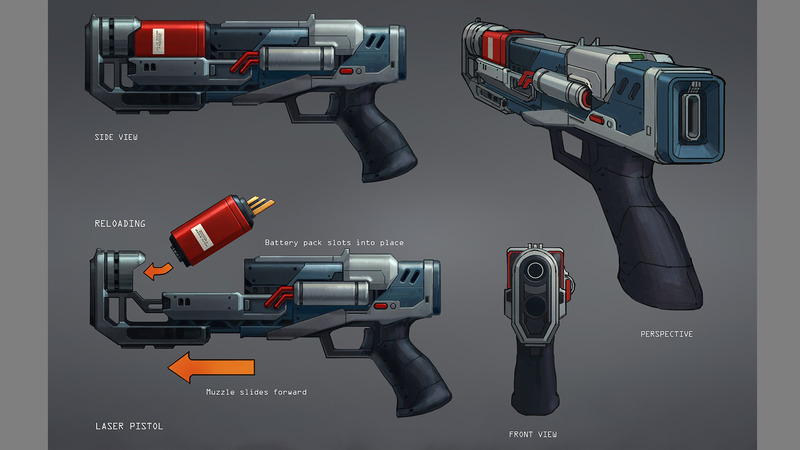 First iteration of the laser pistol design. It will change to be more unique. 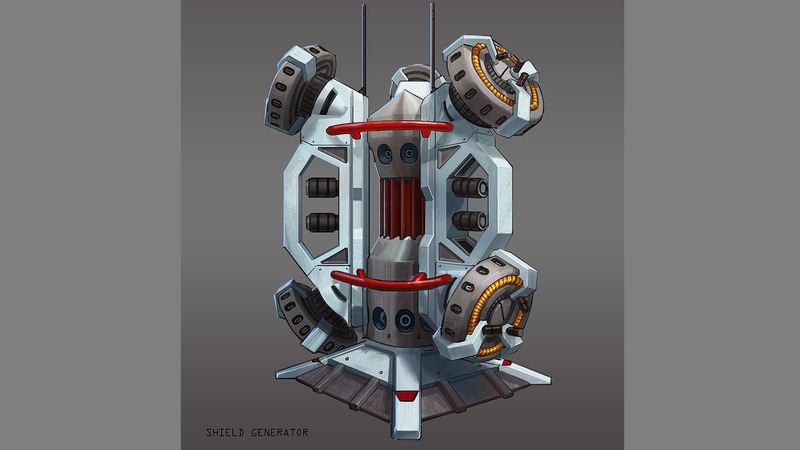 He also finished the final concept of the bubble shield generator and made a new stair caise design which has been requested by the community. The final bubble shield design. 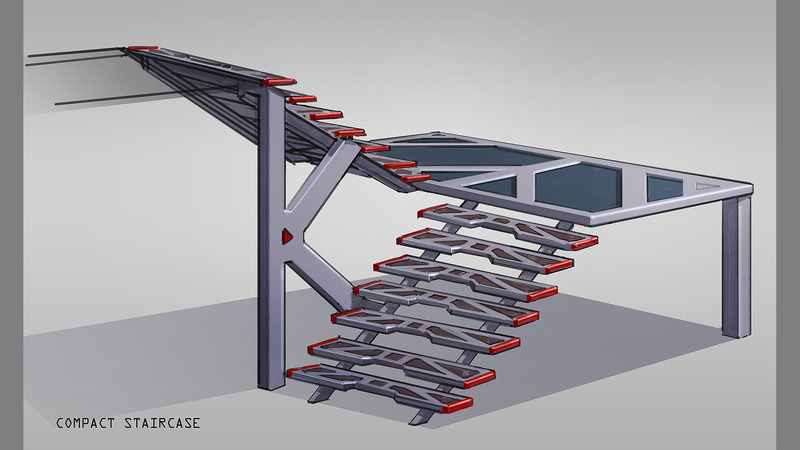 A stair case model that has been requested by the community. You will be able to stack these onto each other easily. 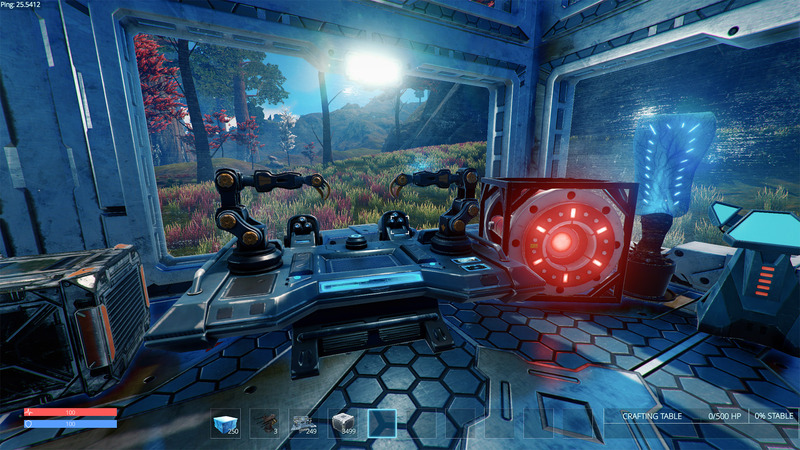 We will focus this week on the mech system and working on the trailer.